We got up early and took the bus to Puerto de la Cruz. At the bus station we met a couple whom we met on the Bollullo walk. We took another bus to Orotava, which was originally a Guaranchen town. It was settled by Spanish traders who build palaces for themselves. Puerto de la Cruz was originally the port for Orotava. Orotavo old town is built around the Nuestra Senora de la Concepción church which was first built in the early 16th century. The present church dates from 1768-88 and is today a national monument. The Plaza Casanas beside Nuestra Senora de la Conception. The tree with blue fglowers is jacaranda. 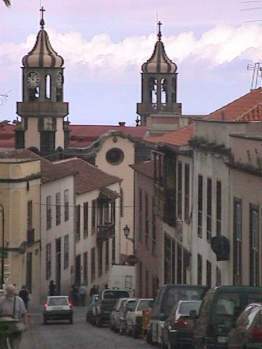 A street in Orotava old town. 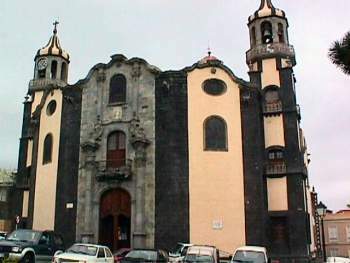 The towers are Nuestra Senora de la Concepcion. 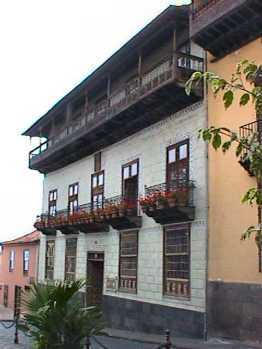 On both sides of the street are balcony houses, palaces built by wealthy merchants. Behind the rather austere facades are lovely inner courtyards with fountains and gardens. Casa Fonseca on the left and Casa Christobal de Franchy on the right. Both were built in the 16th century as palaces for rich merchant families. 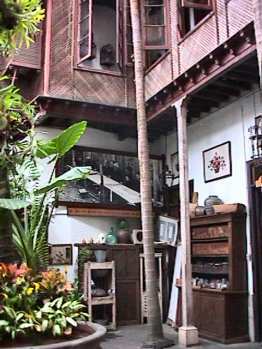 These are famous for their balconies which stretch the entire width of the houses. Inside the Casa Fonseca, built in 1632 for Don Pedro Méndoza de Castro. The palace is built around an open atrium surrounded by balconies on the second floor. It is now a museum and shop for beautiful hand embroidery. You can watch the women at work and buy examples of their handwork. 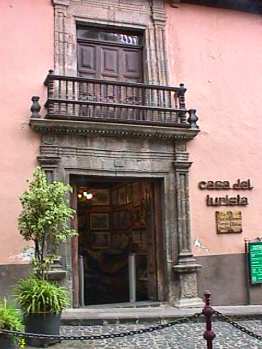 Across the street from the "balcony" houses is the Casa del Turista, which was built in 1590 and was called the Casa de la Alfombra. 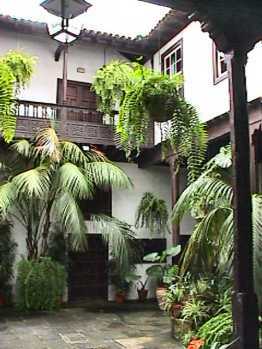 The inner garden of the Casa del Turista. 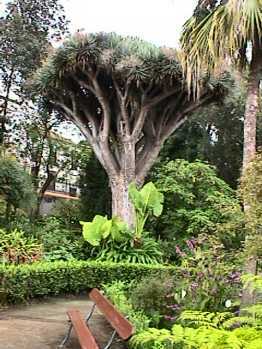 One of the famous dragon trees in the botanical gardens behind the town hall. 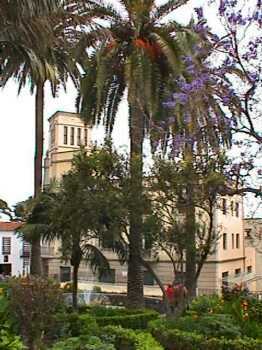 The gardens are part of the much larger botanical gardens in Puerto de la Cruz. The town hall was being renovated, so no photos were possible.